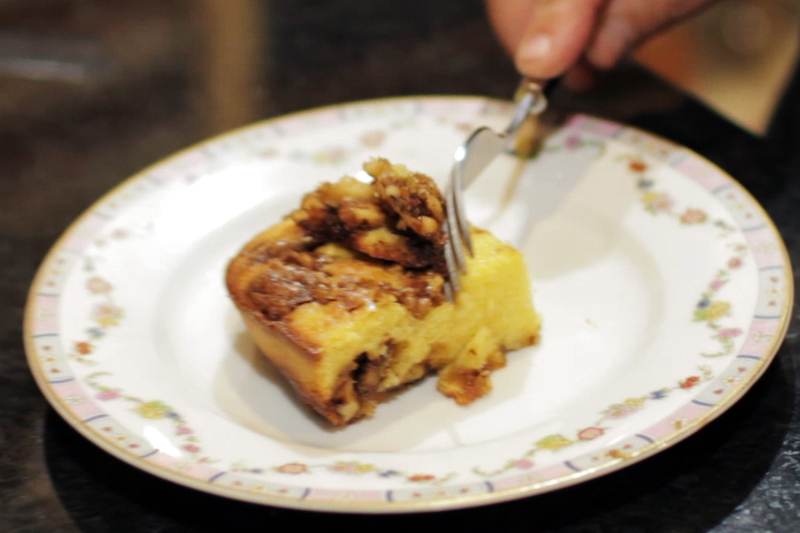 In this homesteading video Becky shows you how to make her Coffee Cake Recipe From Scratch. 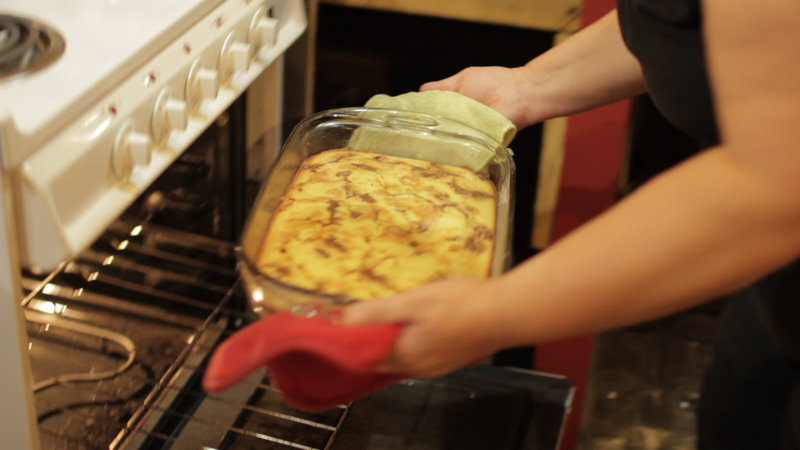 Pulling it out of the oven. 1. In a med. bowl cream together the butter and sugar, then beat in eggs one at a time, next combine the milk and vanilla. Alternate between adding the flour and milk/vanilla mixture. Mix only as much flour as needed. Pour into the pan. 2. 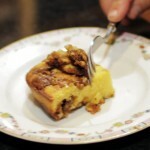 Mix together the Topping ingredients and spread evenly over the cake.